If you’ve got an Apple Watch, you definitely have an iPhone. That means you have two devices that you need to charge every night. And that means you need two wall outlets and two different chargers. Hassle. Apple recognizes that, and announced its AirPower wireless charging mat last year. When Apple announced AirPower, it said it would release in 2018, but we’re now over half way through with no mat in sight, and it’s apparently run into some issues. If you just can’t wait for a simple and elegant solution to charging your iPhone and Apple Watch at the same time, we’ve got some alternatives for you to consider. 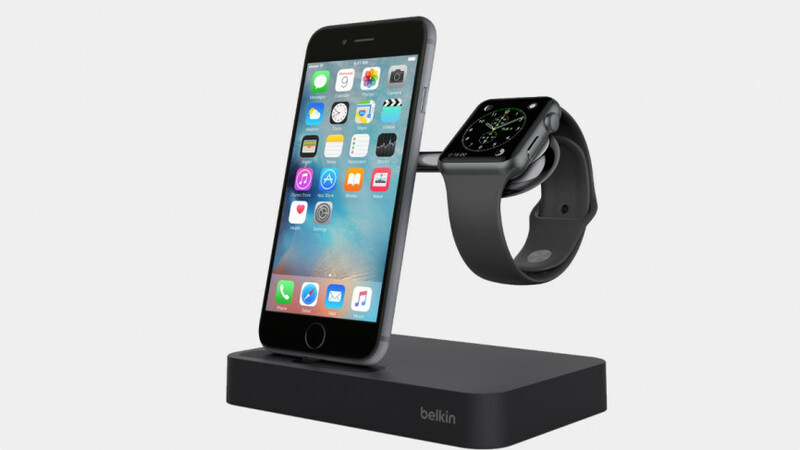 The gold standard of dual Apple product chargers, the Belkin Valet features an integrated Lightning cable and integrated Apple Watch wireless charger. That Apple Watch charger is also magnetic, just like the regular Apple Watch charger, so it’ll just snap into place. On top of that, it’s also an elegant looking stand that will look the part on your nightstand – especially as it comes in black, rose gold and silver. That’s right, Belkin has a slightly cheaper dual dock for you to consider too. This one is a better fit for those of us who love to rock cases. There’s an adjustable dial hidden in the back that will move the Lighting charger forward and backward to make space for said case. 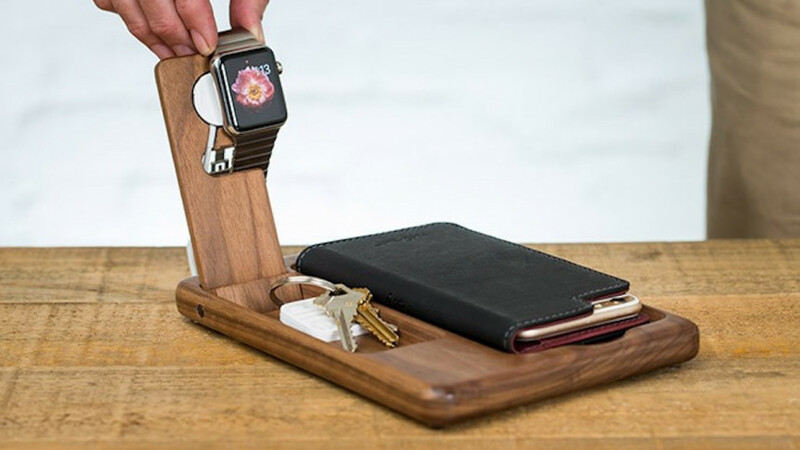 Pad & Quill is known for its high-quality wooden Apple Watch stands, but if you want something that throws in your iPhone the Timber Catchall is a beautiful option. It contains a nice little cutout for your iPhone, and it’s big enough for your iPhone X or 8 Plus too. The big drawback here is that you still do need two cables, but at least it’ll be organized. Sure, stands that charge your iPhone and Apple Watch at the same time are handy, but they also take a good amount of space. 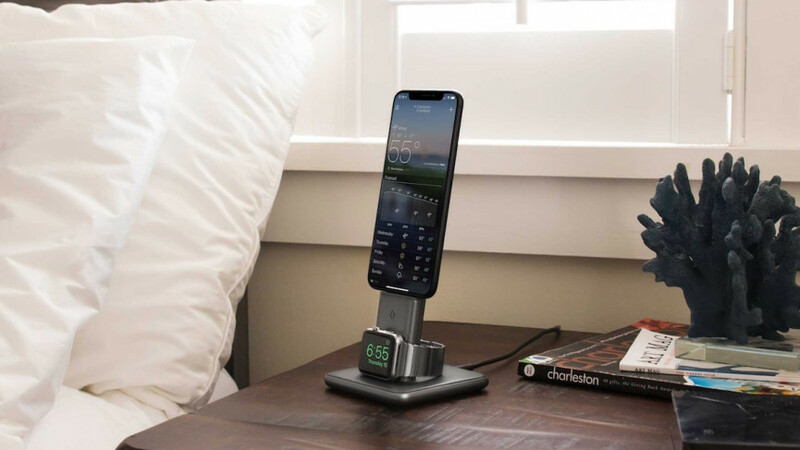 If space is at a premium on your nightstand, TwelveSouth’s HiRise Duet will save you a ton of it. 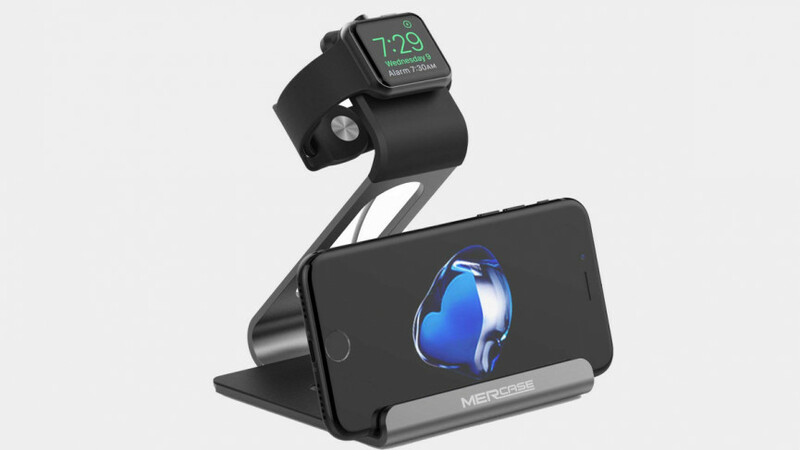 It’ll keep your iPhone up high, while charging your Apple Watch down near the bottom. TwelveSouth also claims that the HiRise Duet will charge your devices 15% faster than a regular old charger. Griffin’s WatchStand takes a bit of a different tact. It connects to a wall outlet, then has two USB ports underneath. You plug your Apple Watch cable and Lighting cable down under there, wrap them around and plug them into your iPhone and Apple Watch. It’s a little more work than other stands, but it also comes with a nice soft place for you to rest your iPhone on. If you’re looking for something a little more affordable, Mercase’s dual stand is a good option. It’s not as advanced as the others here, and it merely puts your iPhone and Apple Watch in the same general space, but it works. Just to be clear: You will need two different cables here, as the Mercase is simply a stand. If you’ve got an iPhone 8 or X, you may have been tempted to use wireless charging. 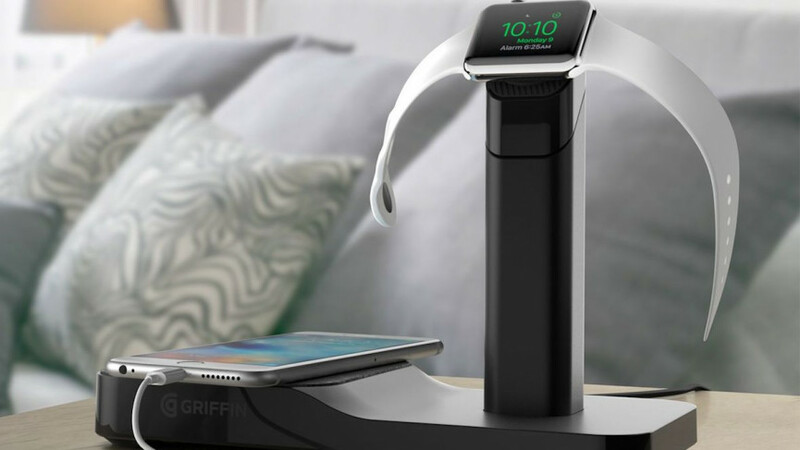 If you’re looking for a stand that’ll also charge your Apple Watch though, that might not be so easy. Well, until the Evolus 3 Qi. You’ll be able to wirelessly charge your iPhone with up to 7.5 watts. 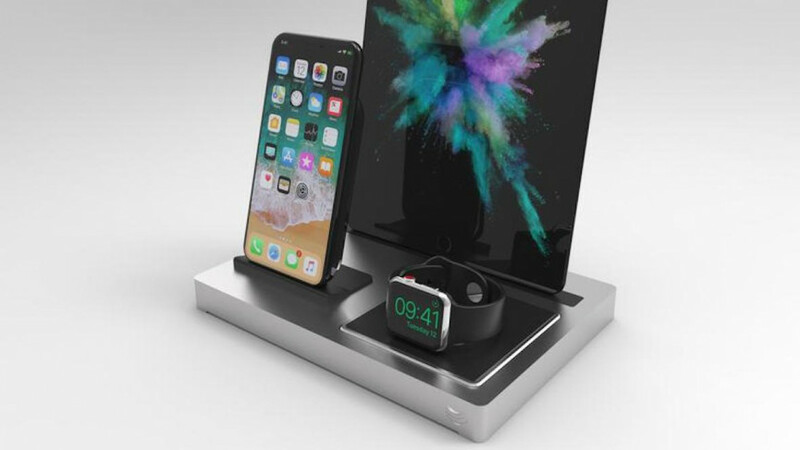 There’s also a spot for your Apple Watch and an even bigger spot for something like an iPad. Or even a second iPhone if you need.